As many of you know, I work full-time as an attorney (hold your lawyer jokes. . . or let ’em fly. . .whatevs), but I’m also finishing my MBA. I have a Finance final after work on Friday that I’m absolutely dreading. YUCK. Anyways, now that’s off my chest, let’s talk about my never-ending love affair with Birchbox. I first heard about Birchbox several years ago in Cosmo or Glamour, but it wasn’t until I started reading reviews at The Small Things Blog that I just had to try it. 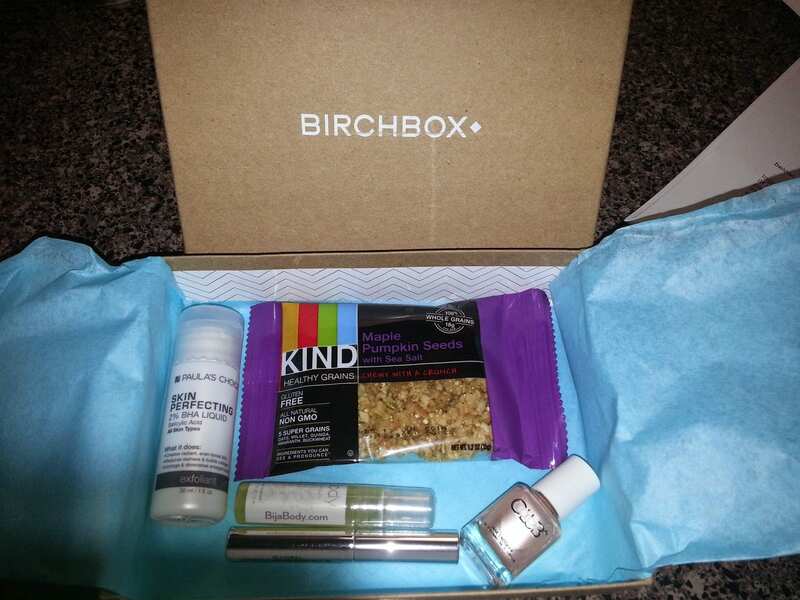 So what is Birchbox? 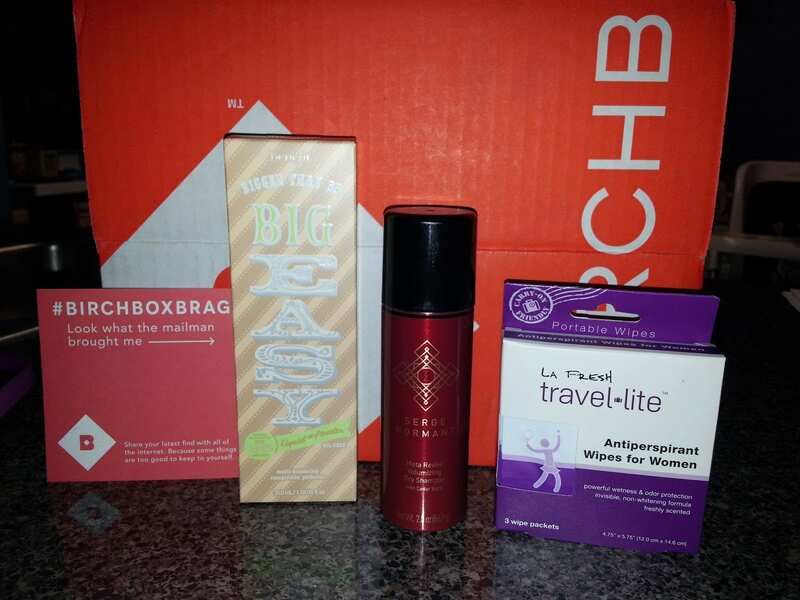 Birchbox is a beauty box that you receive one a month. It’s seriously like a mini-Christmas in your mailbox. Each box contains 4-5 deluxe beauty/lifestyle samples from awesome brands– I’ve received stuff from Benefit, Color Club, OPI, Smashbox, POP Beauty, Stila, Pur Minerals, Twistband, and Juicy Couture, and several times received full-sized products. What you get is based on a profile survey that you fill out about your hair type, skin type, coloring, and preferences. This profile can be updated at any time. Each box is $10/month for a monthly subscription which is automatically charged to your credit card, or you can get 1 year (12 months) for $110/year, which is the equivalent of getting 1 month free. I’m not going to lie. Most of the time, the boxes are great, and every now and then they’re not. Some of my favorite items to get in boxes include lip glosses, nail polish, and dry shampoo. The sizes are great for travel. The fabulousness doesn’t just stop at the boxes. For each item you receive, you can do a review of that product and get 10 Birchbox points. 100 points= $10 to spend on the Birchbox website getting full-sized products (you can shop from a lot of items, not just what you get in your box). You can accumulate these points too–I’ve used $30 worth of points for 1 order twice. The site also frequently offers coupon codes and free shipping with items that were in your box or if you spend $50+. Interested in getting a Birchbox subscription? You can sign up here. The best part about referring your friends to Birchbox is that you get 50 Birchbox points for each friend who signs up! I really enjoy Birchbox because I get to sample a lot of brands that I would never sample otherwise. It’s much more budget-friendly then buying full-sized versions of all the products I get to try. I also really like that I can easily earn points and apply that towards more “big ticket” purchases like the BB cream from Benefit in the picture above. I can’t wait to get my May box!